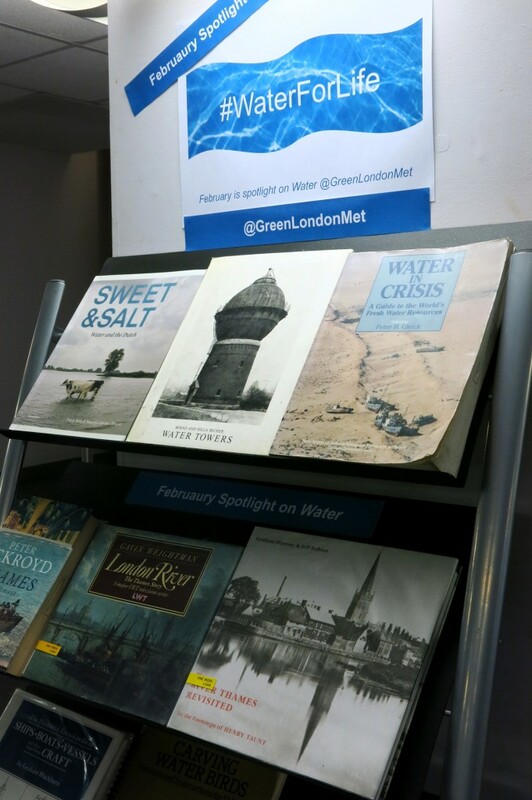 February is spotlight on water in London Met’s environment sustainability action areas, to help promote this we have put together a display of some water themed books from Aldgate library’s collection. From paintings by Turner, Whistler or Hockney or the iconic photographs of water towers by Bernd and Hilla Becher, through to swimming costumes and pools or wood carvings of water birds, water is a very broad theme that highlights the variety of topics we cover in our library. This entry was posted in event, Library books, Library Collections, Library news, Uncategorized and tagged "art history", "Art Library", architecture, art, books, CASS, design, e-resources, photography. Bookmark the permalink.